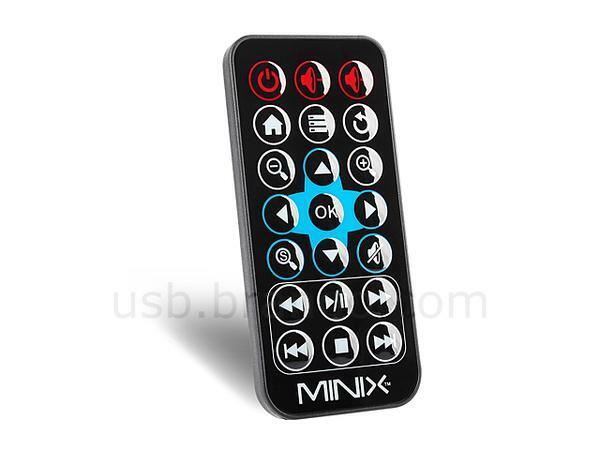 We have introduced many practical Android powered mini PCs, but if you need a more powerful option, the following Minix Neo X5 Android TV box may be able to draw your more attention. 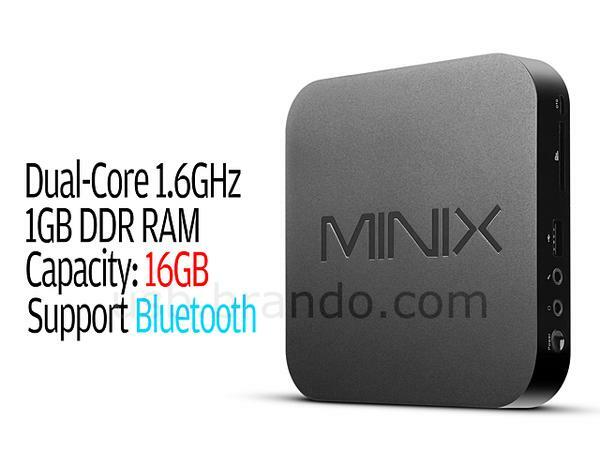 Minix Neo X5 is an Android powered mini PC that measures 129 x 129 x 21mm and weights 192g. The mini PC runs on Google Android 4.0 Ice Cream Sandwich mobile operating system, and as we can see from the images, it features sleek and portable design along with matte coating, moreover, the TV box comes with a dual-core A9 RK3066 1.6GHz processor with Mali-400 GPU, 1GB RAM, 16GB internal storage, SD/MMC card reader, and using integrated HDMI output, you can easily connect the TV box with your HDTV, while built-in WiFi and RJ-45 Ethernet jack allows the mini PC access the Internet for various entertainment contents, and the RJ-45 Ethernet supports hotspot sharing via WiFi. 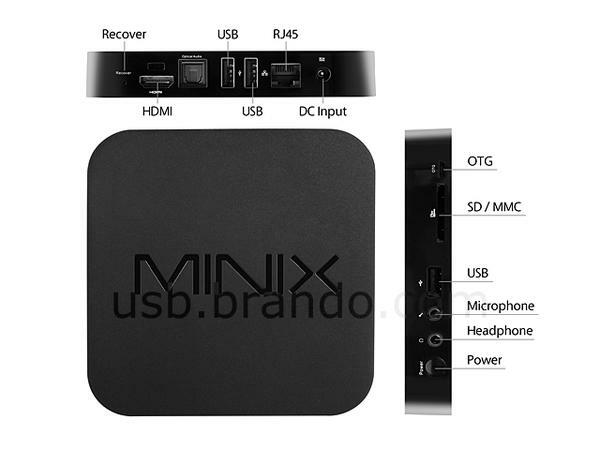 Apart from that, the mini PC also has three USB ports and a USB OTG port for external storage and input devices, and accompanying remote control lets you comfortable control the TV box on your couch. 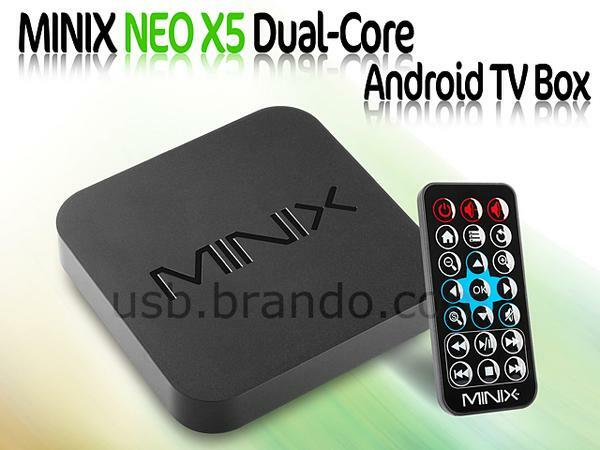 Minix Neo X5 Android TV box is priced at $118 USD. If you’re interested, jump to Brando online store for more details. Additionally, also don’t miss other nice options via “mini PC” tag.